Louis Vuitton is heading to the Miho museum in the Land of the Rising Sun in May for Cruise 2018. 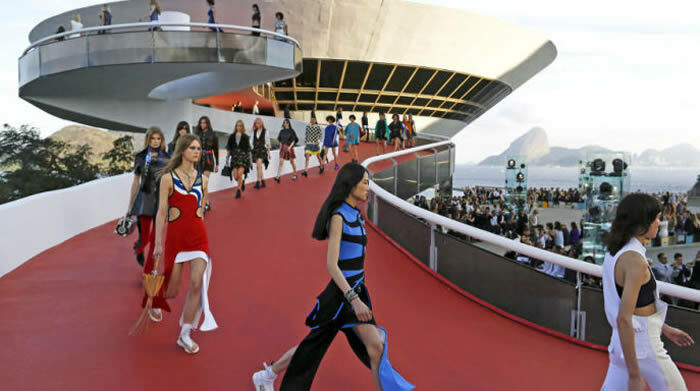 The setting for Louis Vuitton's cruise shows is just as important as the clothes on the runway. Nicolas Ghesquière has already hosted in places like Palm Springs and Rio and recently announced he'll be showing his 2018 cruise presentation at the Miho Museum near Kyoto, Japan. On May 14, stars can expect to be whisked away into the mountains and into gorgeous woodland scenery. Judging from the few photos the designer has shared so far, architecture will play a huge role in the show once again. "We've always made architecture a very integral part of our story," said Michael Burke, chairman and chief executive officer of Louis Vuitton. "Japan is a destination that everybody thinks they know, but they all know Tokyo." We hope fashion house muses like Michelle Williams have their bags packed, because the resort collection is one that can't be missed. Click through to see photos of the location, then stay tuned for more details.